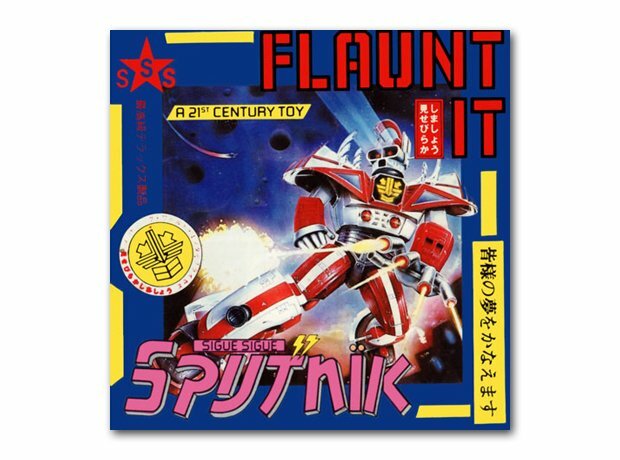 March: Sigue Sigue Sputnik - Flaunt It! 8. March: Sigue Sigue Sputnik - Flaunt It! This hugely-hyped band was the brainchild of former Generation X punk Tony James, who tried to whip up some controversy by selling off the space between tracks on the album to advertisers. Produced by the legendary Giorgio Moroder, their song Love Missile F1-11 later found a home with grebos Pop Will Eat Itself.